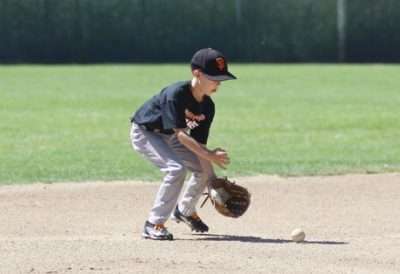 Lassen College kicked off the Athletic Summer Kids Camp series with baseball camp held during the week of Monday, June 12 at Susanville Memorial Park. 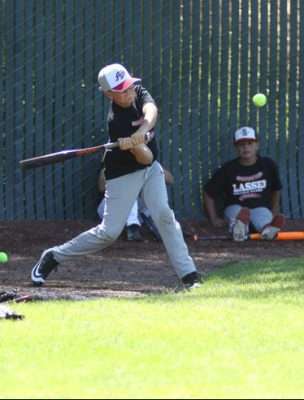 Lassen’s head baseball coach Frank Avilla worked alongside LCC alumni Donald Wanner and Lassen High School varsity baseball payers Miles Ormachea and Josiah Snell to run the camp for local baseball enthusiasts ages 7 to 13 years. Throughout the week, campers learned the different skills of fielding, bunting, hitting, catching, pitching and base running. Campers each received a camp T-shirt and gained a better understanding of the sport through drills, games and, of course, baseball trivia questions during snack time. The camp drew in more than 35 children and worked with players at various skill levels. For some campers, the week was spent improving their skills, while for others; the time was spent learning techniques for the first time. For all campers, though, time spent on the diamond, in the field and in the batting cages was spent sharing the love of baseball with peers. The Lassen College Athletic Summer Kids Camp series has only just begun as local youth are enjoying wrestling and softball camps this week, and they can enjoy basketball and soccer camps during the week of Monday, June 26.